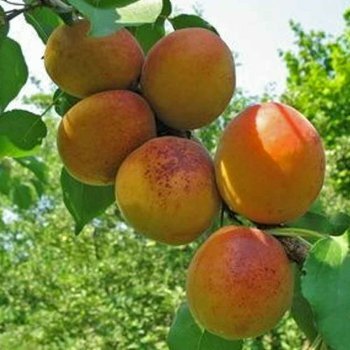 A frost resistant apricot with yellow / orange juicy fruits, Goldcot is a popular choice. This hardy variety of apricot tree has been chosen for its suitability to cold wet UK climates. It also benefits from being disease resistant and self fertile, so no pollination partner is required. Goldcot apricot trees will reliably produce heavy crops in August, with the good sized apricots being ideal for eating fresh, bottling, freezing and cooking. *This is an indication of the un-pruned height of this Apricot tree variety in 10 years. Variations will occur when different factors are introduced such as planting position, pruning, geography etc. Apricot trees should be spaced at approx. 3 metres between trees. Our pot grown Goldcot Apricot trees can be planted at any time of the year, whereas bare root apricot trees can only be planted between November and March.